Every weekday through Election Day, JTA will post a brief profile of one Jewish voter. It is a very professional video. Very depressing, because to pretend that the Telzer derech continues in any way, shape or form is a bitter fraud. 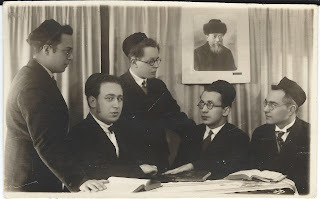 Recently, a great-grandson of one the Rabbis Bloch zt"l almost physically attacked me when I suggested that the derech of Telshe was superior to the derech of Brisk - and he is a talmid of a Rosh Yeshiva who is a great-grandson of one of the other Rabbis Bloch zt"l.
Who will convey the derech further? 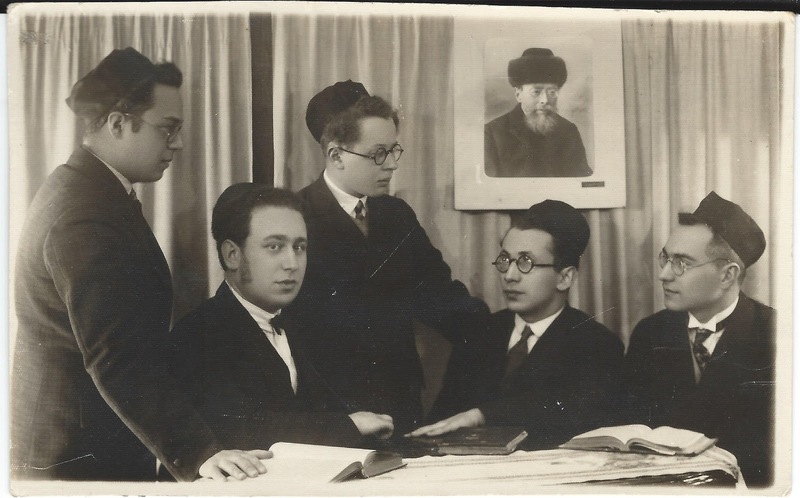 My grandfather, Rabbi Dov Yehuda Schochet zt"l as a talmid in Telshe (sitting, second from left). h/t to my cousin, Reb Mendy Elishevitz for notifying me of the video, and to my cousin Reb Moshe Daniel Schochet for the picture.